Editor’s note: Bradley W. Parks and John Rosman of Oregon Public Broadcasting, and OPB staff followed the occupation in eastern Oregon in a live blog. See the original post from OPB here. 11:02 a.m. PST | After 41 days, an armed occupation at the Malheur National Wildlife Refuge came to a conclusion Thursday morning. David Fry was the last occupant to surrender, speaking with negotiators for over an hour about his viewpoints of the occupation, religion, America as a whole and more. 10:17 a.m. PST | Cliven Bundy has been charged with assault, conspiracy for 2014 standoff near his Nevada ranch. David Fry is the last remaining occupant inside the refuge. The other three militants have already surrendered to authorities. Fry is currently refusing to leave. He is saying his grievances have yet to be heard. 9:47 a.m. PST | David Fry is the last remaining occupant inside the refuge. The other three militants have already surrendered to authorities. Fry is currently refusing to leave. He is saying his grievances have yet to be heard. Gavin Seim is live streaming a phone call with militants inside the Malheur refuge. They are speaking with Nevada State Rep. Michele Fiore who says her and Rev. Franklin Graham are approaching the refuge with three FBI agents. Last night, occupiers agreed to leave the refuge if Graham and Fiore were allowed to accompany them. OPB also confirmed Thursday morning that Blaine Cooper, a key member of the occupation who later fled, was arrested by authorities. “You don’t have any idea what we’re going through,” said his wife Melissa Cooper. Seim’s live stream offers a window into the negotiations taking place between occupants and officials. Militants are on edge as they prepare to possibly surrender. “If they double cross, all deals are off,” said armed occupier Sean Anderson. He added that the four remaining militants are currently unarmed and plan to stay unarmed. 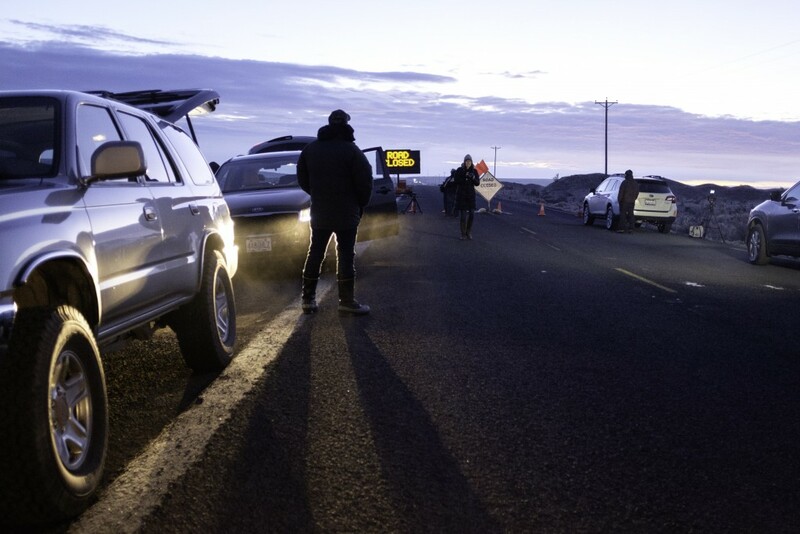 View all of OPB’s coverage from the armed occupation in Eastern Oregon.